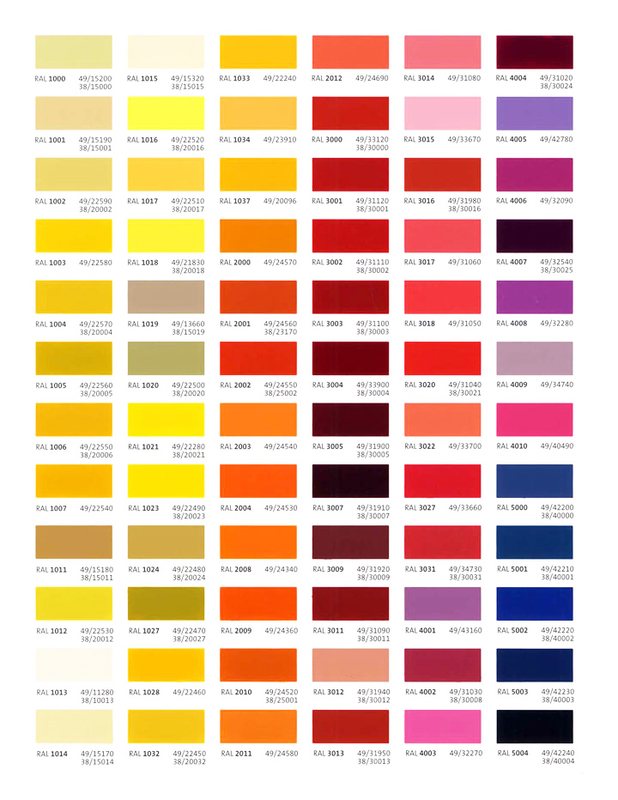 RAL colors are used for powder coating our frames. This chart is for referential purposes only. Appearance of colors on your computer screen may not be an exact match of the finished product. 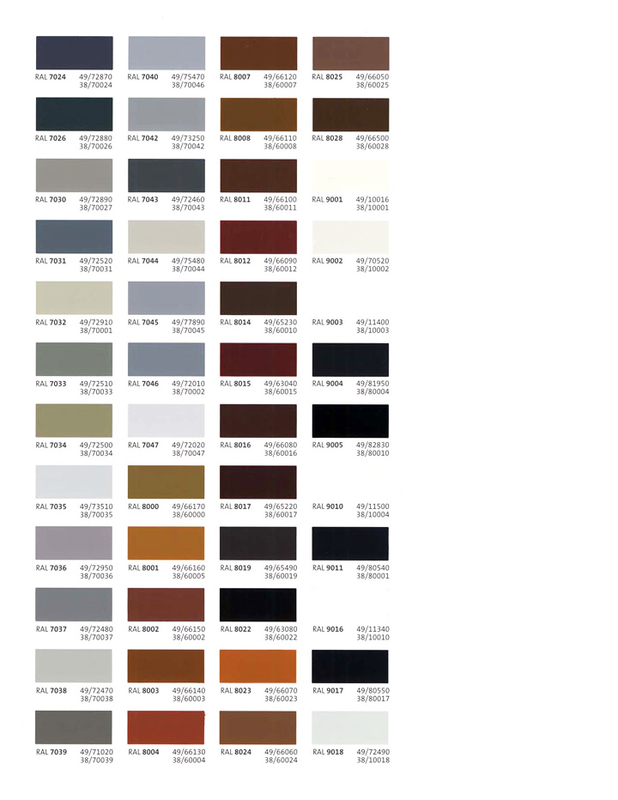 We recommend an online search of multiple images of the RAL color you are interested in. This will allow you to see your RAL color in multiple contexts. Availability of all colors is not guaranteed.